By Joe Perry — I am so happy and excited to have the students back on campus. The past two days have run extremely smoothly and I give all of that credit to John Houghton, Polly Rizzotto and the entire faculty and staff. Your children are so cared for here. Yesterday morning I had the pleasure of starting off the school year at our traditional First Chapel. If you are not aware, First Chapel is the time where our 8th graders are first officially acknowledged as school leaders, and the time for the Head of School to set the tone for the year. I took this time to pick up where Debbie Callahan left off last year, by continuing to expect our students to Do Special. I attempted to inspire each student with a metaphor: Derby is their tree. Derby provides each child with such a solid foundation — the Derby Experience provides roots to grow and a trunk to support each student as he/she flourishes. As I concluded, “I expect each and every one of you to stand tall, branch out, spread your leaves and blossom while at Derby.” My hope is that by branching out, taking risks and supporting each other, our entire community will continue to Do Special in so many ways. 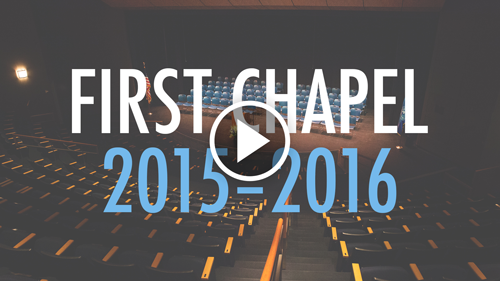 Because many of you were not able to experience our First Chapel firsthand, a video of yesterday’s assembly, including my entire address, is available online — we hope you enjoy.